news The NBN company this morning announced it would pay Telstra about $1.6 billion over the next four years to upgrade and extend its HFC cable network as part of the National Broadband Network. Under Labor’s original model for the NBN, Fibre to the Premises infrastructure was to be deployed almost universally around Australia. However, the Coalition’s Multi-Technology Mix for the NBN is seeing the copper and HFC cable networks owned by Telstra and Optus integrated as part of the NBN network. About a third of Australians are slated to receive NBN services over the HFC cable networks. The new NBN/Telstra contract was announced by the two telcos in separate statements this morning. The NBN company said that under the new arrangement, Telstra will carry out the design, part of the construction and the construction management of the remainder of the work required to extend the NBN network to about three million premises currently in the footprint of Telstra’s HFC cable network. The NBN company said premises in the footprint would “primarily” be connected to the NBN company’s upgraded HFC technology. However, it intimated that other technologies (for example, the NBN company also favours Fibre to the Node) may also be applied “to enable the network to deployed as quickly as possible”. The NBN company said the new agreement complements and streamlines the existing arrangements NBN has with Telstra, creating a faster rollout schedule and access to all NBN retail ISPs. Following a Memorandum of Understanding announced in December 2015, early works have been underway while negotiations progressed, including preparing Telstra NBN exchange locations and HFC planning and design work. The NBN company said this new agreement came on top of “successful trials” on the Optus HFC network in Redcliffe, Queensland, with end users experiencing trial speeds of up to 100Mbps/40Mbps. The NBN company said it was on track to make an initial 10,000 HFC premises available for orders by the end of June 2016. “This is a significant milestone in nbn’s goal of finishing the rollout by 2020 and connecting 8 million homes and businesses,” said Morrow. Telstra said in its own statement that the works are expected to continue until the end of the nbn build, slated to be completed by 2020, and include geographic areas within the Telstra HFC network footprint in Sydney, Melbourne, Brisbane, Gold Coast, Perth and Adelaide. 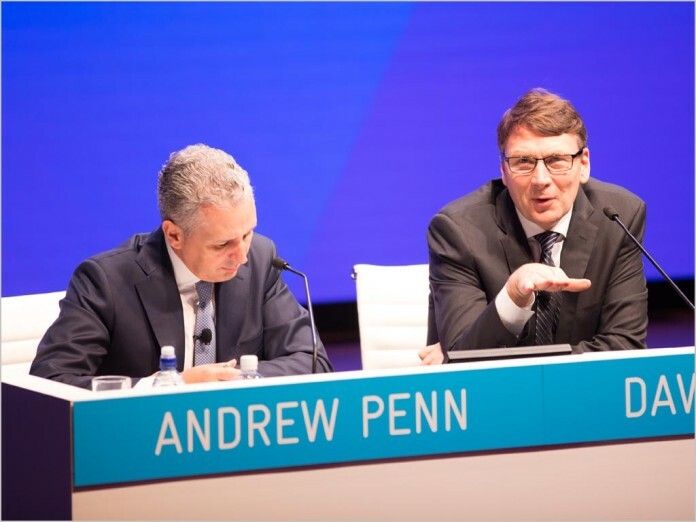 Telstra CEO Andrew Penn said he was pleased to have come to such an important agreement with the NBN company. “We have a very strong relationship with NBN and I am pleased that we have reached an agreement and can support NBN in building out the nbn network in the existing Telstra HFC footprint,” said Penn. Agreed, it was always obvious that turncoat’s not a dollar more was complete b.s. Can we verify whether this announcement is included in the existing peak funding? Because it simply sounds like the original plan. Not 1 cent more… but nobody said they weren’t going to get 160,000,000,000,000 cents more. This sort of thing is why both Jason Clare and Bill Shorten have said that going back to the original FTTP plan for the NBN is impossible in at least the short term. And then people like Mitch Fifield turn around and say that Labor are backflipping on the NBN. Have they said how much “extending” of the HFC network they are going to do under this deal ? Will they be building new lead-ins to many premises ? Telstra gets $533 per premises for design and projects management… so that leaves $1167 per premises for the sub contractors, once it gets to the bottom of the food chain, the worker who actually does will see about $50 per premises. And yet even more money goes to Telstra. The biggest snout in the trough. $11 billion wasn’t enough for them. Let’s see Turnbull’s (because this occurred on his watch), and Fifield’s (now head cheerleader) dance moves. No wonder the 3 of them are grinning like Cheshire cats back in the day. Sorry, the “3 of them” reference was for Thodey, Turnbull and Morrow, as per the AFR link, in case my previous comment didn’t make sense. Unbelievable. The Liberals are getting desperate making sure they sign for as many things as possible to screw Labor over in case they win. That way they can point the finger at someone other than themselves for destroying what was to be a nation building project. I mean sure they signed and extended contracts but those contracts were for 2 year spans. MTM seems to favour 6-10 which is a little insidious to say the least (and they still heavily reworked all of labours contracts anyway …. thats why several FttP installs to cover black spots are still ADSL black spots). I bet Conroy wished he’d pulled a MT when it came to locking down NBN. I thought the reason why Labor were buying the HFC network was to rip it up abd replace it with fibre. That would probably explain a big chunk of the cost and time blow-out, then. Having to renegotiate the contracts and pay all of those penalties.. Almost 3 years on and yet another new angle to blame the others, for the current shemozzle? @ChosenChaos at least where I’m from they would have saved a few bits and pieces. They froze the funds rolling out which causes chunks of areas to not be done, they certainly didn’t spend anymore. That blowout is because the complexity of systems needed (ie B2B to even just wholesale stuff like HFC) to run and maintain all the disparate systems. Maybe even it includes paying off T$ to fix the stuff we bought because doing due diligence seems like an unnecessary step when it monopoly money. ACCC are looking into it? A Royal Commission into the unprecedented and unrestrained corruption evident in this tens-of-billion-dollar theft of public funds could happily overturn this nonsense, but it could/would take years for that to complete. Do we really want to put the brakes on everything while that happens? A suicidal Labor government could get such a RC kicked off, sack/imprison the current NBN board and management (and their hires), revoke all outstanding MTM contracts and go back to FTTP, but they would have serious problems at the following election and the RC probably wouldn’t be finished by then, so would be unable to exonerate them. Besides, the idea that Australian police would seriously consider investigating and charging an ex-PM, or a judge in this country would be willing to set such a precedent, is fanciful. The NBN was £@#&ed, irretrievably, the moment the LNP were voted in in 2013. That was as predicable as any immutable law. Australia chose what they did with full ability to educate themselves better, but they decided not to, they thought they knew best. The nation of uneducated experts, the know-all know-nothings, got what they deserved. It’s just a pity the rest of us have to be dragged down with them. The NBN was £@#&ed, irretrievably, the moment the LNP were voted in in 2013. Indeed. The people that said “We only have one chance to get this right” were right yet again. NBN pay telstra to expand it’s partners (foxtel) network to reach more people. Now skynews can team up with theaustralian to greater effect to peddle Lib propaganda and Labor won’t be voted in again for a while after brain washing stupid swing voters. Is the work related to connecting houses to the main cable that is already located outside on the footpath area or will Telstra be extending the main cables possibly on the electricity poles? If this is just cables connecting to houses that might be reasonable but if they are hanging new main cables they should be hanging fiber on the poles instead. You know when I think of GimpCo today the first thing I think of is “clowns wasting money” so I’m not surprised. “Cheaper Faster Sooner” they told us. When the only tool you have is a hammer, everything looks like a nail. The NBN is now run by technically illiterate business men, their specialty is signing contracts to get things done, not actually doing anything themselves. Assuming these knuckle draggers know what a hammer is is giving them way too much credit. Indeed they are simply using all those rocks that were dug up from peoples front lawns that had FttP installed. None of this high tech hammer business. That’s a lot of money to slap an nbn™ sticker on the existing Telstra cable boxes… I guess stickers are expensive. You correctly assume they will be stickers. They’re easier to remove when the entire network is eventually sold back to Telstra again. Bit irresponsible to lock in these contracts so close to election. I swear there was a time Telstra said it wasn’t possible to offer wholesale access on the HFC network. How times change when it suits them. It wasn’t possible for TELSTRA to offer it, not due to technical reasons, but because they didn’t want to. It was the B2B end that made things untenable I believe .. lest we forget NBN has a $5-15B blowout in the works because of things like that being very complex. (or should that now be up to $16.6B). I guess I should have worded that differently, there might have been technical reasons, however, they would have been nothing more than a smokescreen for Telstra to avoid saying they didn’t want to, and wanted to continue price gouging on their HFC as the sole provider. Given how bad the network bit is how much do you reckon they spent on stuff to monitor and manage it? But its not like TPG didn’t manage a system within a month or two for their FttB so yeah. Has been ever since September 2013.
indeed it has, gone from $4.88 to $5.15 and with peaks well into the $6 range! So I assume this 1.6 billion is just another addition to the 56 billion, making 57.6 billion now? Probably also safe to assume that (using Turnbull mathematics) the cost of rolling out fibre has just gone up too. The resident LibTrolls will be here shortly to tell you that it “isn’t” $56Bn or that you can’t just add that to the bill… or… that you have to prove the numbers you’re talking about… or that its just a DRAFT or… insert any number of apologist remarks. Maybe because it’s not $56B? And materially, how does “up to” make that any better? “Up to”, “Around”, “about”, “approximately”….who gives a brass razoo, it’s $56b (or more the way they are going). Would love to know your opinion on this, I am just lost for words. I would love to know what the design and performance constraints and criteria are in the contract. e.g. Will the existing cable segments be re-segmented to cater for the additional load. So they are not overbuilding FTTN now just building more crap that goes down when it rains for real ? I mean I had 3 days downtime not long ago with no answer what is going on and they don’t tell you what is going on. There is no business plan on cable either because it’s unstable crap, they just treat you like cattle. So HECS is a burden I believe but the robbery of our money from Telstra is not. Well Uncy Joe predicted 70 Billion and based on the current LibTard MtM fail rate, I’d say that they are on track! Derek, feel free to keep posting that particular link ad nauseam. After all, it came straight from the horse’s ar…mouth. Straight from the then top beancounter. Who should we believe, if not the federal treasurer? The coalition has no right whatsoever, forever, to say ‘too expensive,’ ‘gold plated’ or ‘Rolls-Royce’ about anything at all. I know Martin, I mean who’d of thought sloppy Joe would get something right eh? Only if there’s a change of Govt. Otherwise expect nothing more than expert finger painting and speccy pic’s to impress because I reckon the actual data is going vaporise. Yeah it’ll be just as transparent as everything else nbn does… in other words, fully opaque! Yes, it’ll be an interesting story…er…I mean report. I have a HFC connection via Telstra. Reliable (mostly) but the “high speed” I pay for does tend to vary – not consistent” Just like the MTM except “reliability is suspect” – “delivery is non existent” – nothing “high” about the speed. Enough is enough. We will have to spend our “defence Budget” to sort out this mess. Oh, my HFC needs an upgraded modem (I suspect). Telstra is trying to get me to change (upgrade – pay more $$$) my plan with a “FREE” new modem included. Good old Telstra! Expect a bumper Telstra profit this financial year with all those taxpayer dollars thrown at it. All this money thrown around… mainly to the fat cats. For simply upgrading/extending the life of aging technologies (DSL and HFC).